It’s time to assemble your own Avengers team! 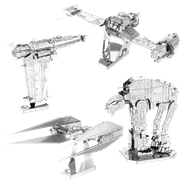 Avengers Metal Earth models are small-scale replicas of characters and weapons from the popular sci-fi superhero franchise of the same name. 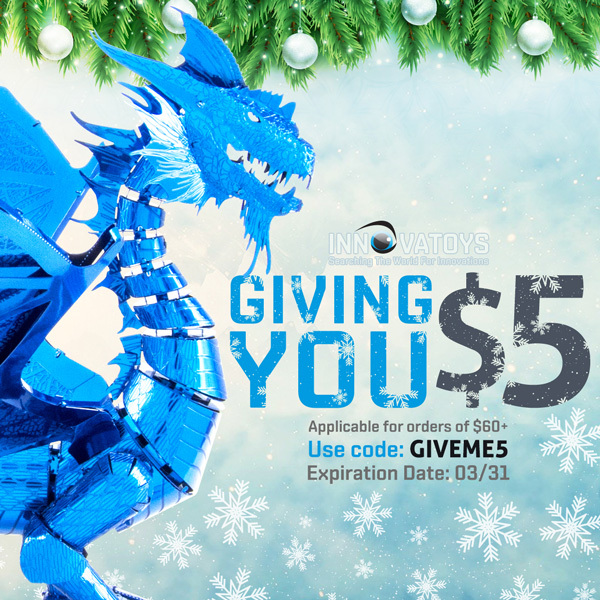 InnovaToys’s Avenger set includes these following 5 models: War machine, Iron man’s helmet, Iron man, Captain’s shield, and Thor’s hammer (Mjölnir). 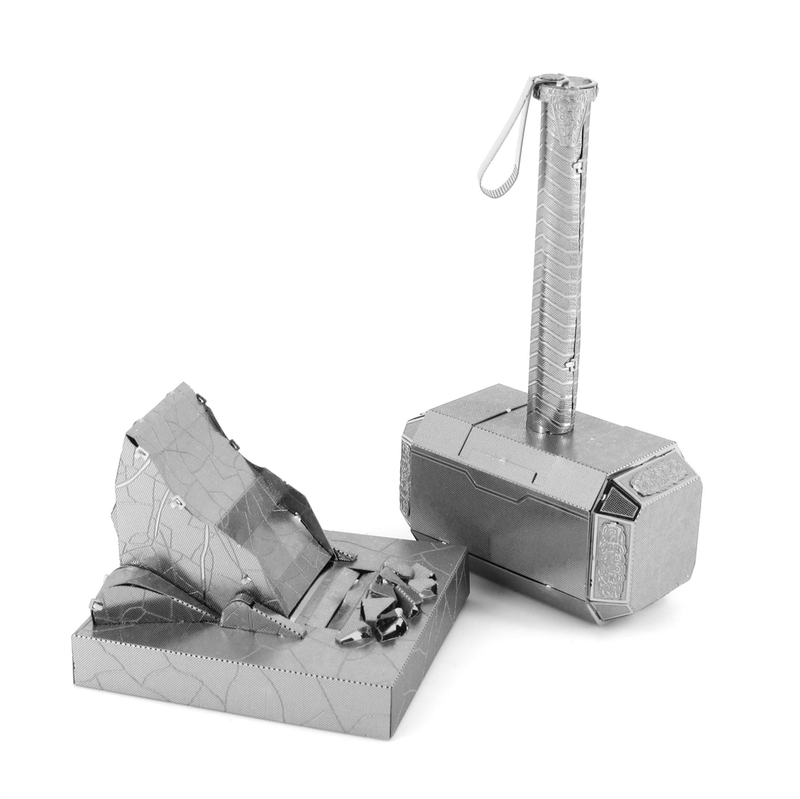 Build your own Mjolnir from Marvel with ease with this Metal Earth Mjolnir kit from Fascinations. This amazingly detailed etched model starts as 2 4-inch square steel sheets and finishes as a 3.25" x 3.25" x 1.75" 3D model. Simply use the easy-to-follow instructions included with the sheet to pop out the pieces, bend the tabs, and connect them at the attachment points. No glue nor solder required. 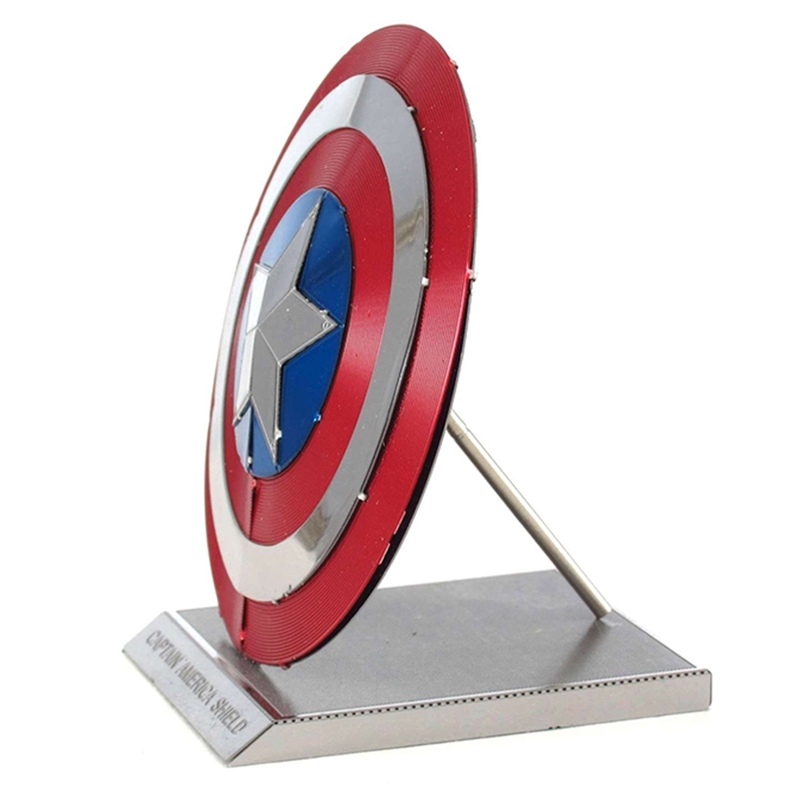 Build your own Captain America's Shield from Marvel with ease with this Metal Earth Captain America's Shield kit from Fascinations. This amazingly detailed etched model starts as 2 4-inch square steel sheets and finishes as a 2.25" x 1.75" x 2.25" 3D model. Simply use the easy-to-follow instructions included with the sheet to pop out the pieces, bend the tabs, and connect them at the attachment points. No glue nor solder required. 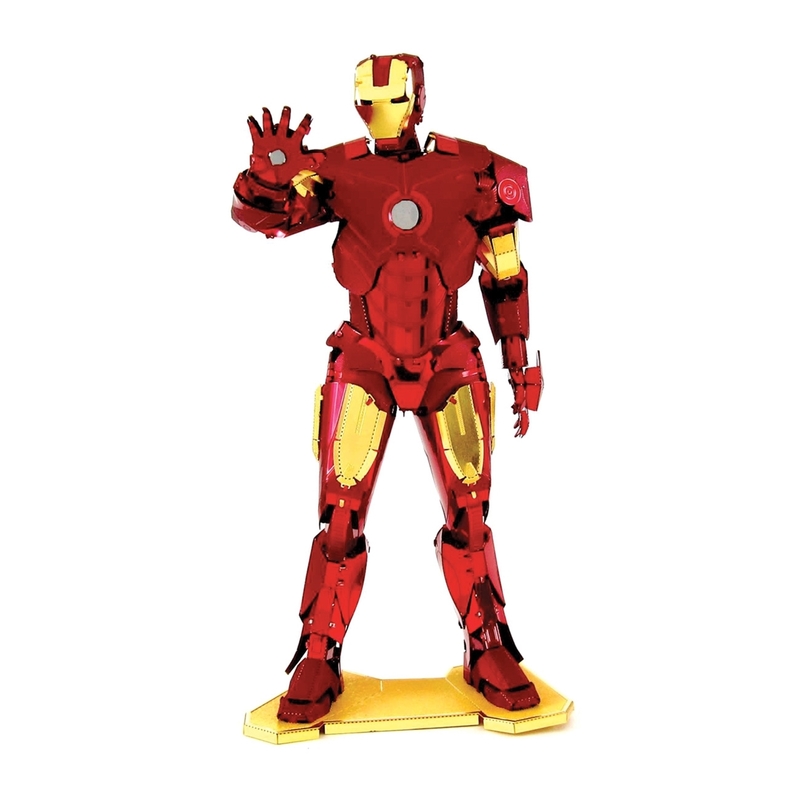 Build your own Iron Man from Marvel with ease with this Metal Earth Iron Man kit from Fascinations. This amazingly detailed etched model starts as 3 4-inch square steel sheets and finishes as a 4.75" x 2.25" x 2.5" 3D model. Simply use the easy-to-follow instructions included with the sheet to pop out the pieces, bend the tabs, and connect them at the attachment points. No glue nor solder required. 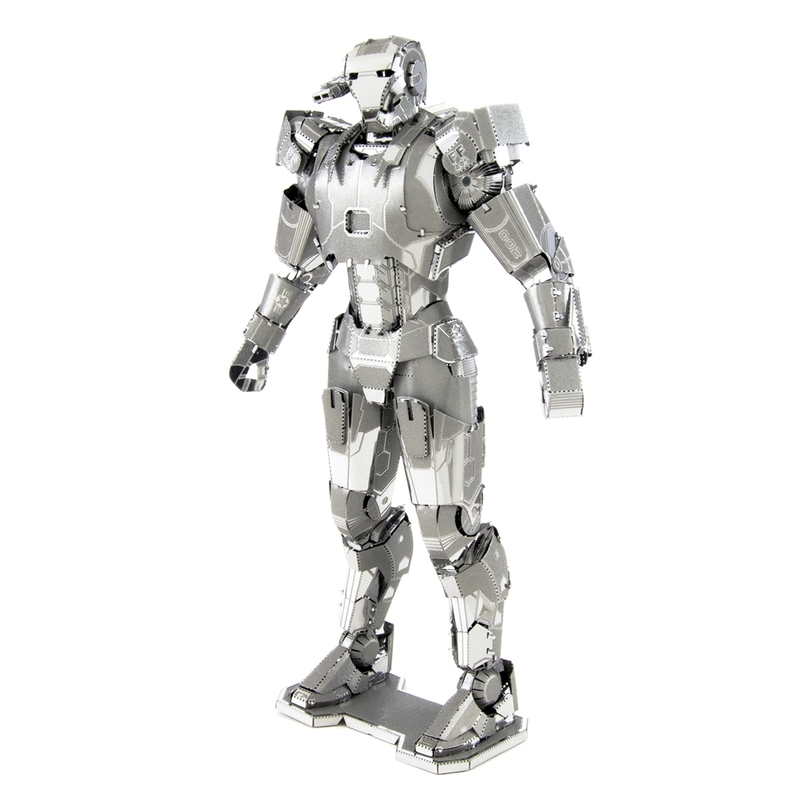 Build your own War Machine from Marvel with ease with this Metal Earth War Machine kit from Fascinations. This amazingly detailed etched model starts as 3 4-inch square steel sheets and finishes as a 4.75" x 1.25" x 3" 3D model. Simply use the easy-to-follow instructions included with the sheet to pop out the pieces, bend the tabs, and connect them at the attachment points. No glue nor solder required. 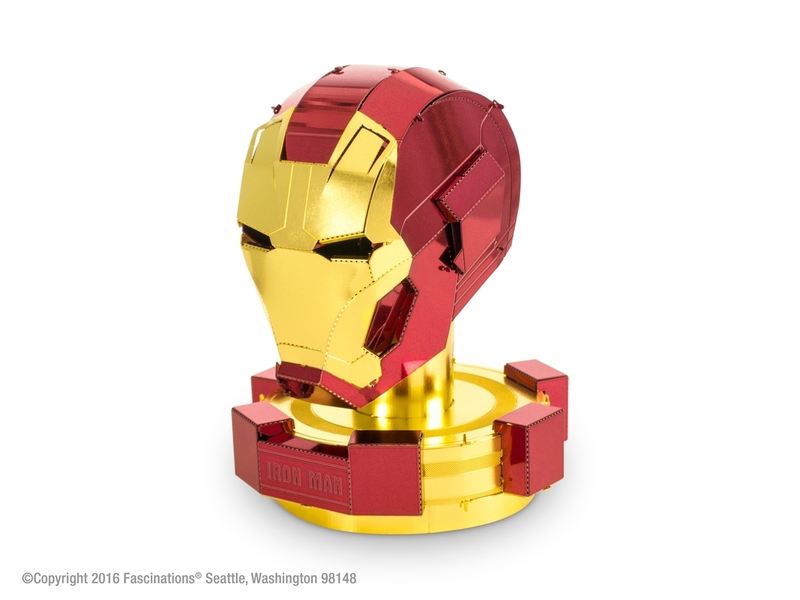 Build your own Iron Man Helmet from Marvel with ease with this Metal Earth Iron Man Helmet kit from Fascinations. This amazingly detailed etched model starts as 2 4-inch square steel sheets and finishes as a 1.96" x 1.96" x 2.44" 3D model. Simply use the easy-to-follow instructions included with the sheet to pop out the pieces, bend the tabs, and connect them at the attachment points. No glue nor solder required. 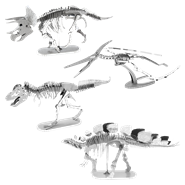 Dinosaur Metal Earth models are small-scale replicas of several dinosaur skeletons. InnovaToy’s Dinosaur set includes these following 4 models: Triceratops, Pteranodon, Tyrannosaurus Rex, and Stegosaurus. Channel your inner Bruce Banner and own your set of Batmobile! Batman Batmobile models are small-scale replicas of Batman’s personal automobile that have appeared in movies and TV series. 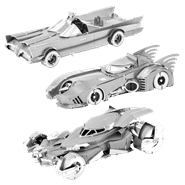 InnovaToy’s Batmobile set includes these following 3 models: Classic TV Series Batmobile, Batman Movie Batmobile, and Batman vs Superman Batmobile. Build your own R2-D2 from Star Wars with ease with this Metal Earth R2-D2 kit from Fascinations. This amazingly detailed etched model starts as 2 4-inch square steel sheets and finishes as a 2.75" x 1.96" x 1.37" 3D model. Simply use the easy-to-follow instructions included with the sheet to pop out the pieces, bend the tabs, and connect them at the attachment points. No glue nor solder required.